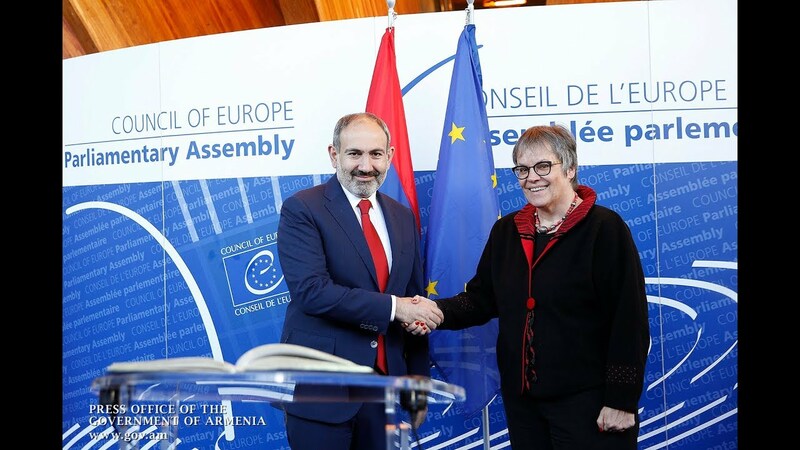 After more than two decades since independence, Armenia finally has a historic chance to re-establish the de-facto freedom of its judiciary from the other branches of power, Prime Minister Nikol Pashinyan said today as he met with members of the Supreme Judicial Council. Highlighting the pivotal signficance of justice reforms in the institutional strengthening of the democratic changes, the chief of cabinet reiterated the political authorities' assurances ''to avoid intervening in the functioning of judiciary bodies''. ''We are recording really important changes in democracy and legitimacy, but to ensure those changes institutionally, it is important to give them institutional guarantees, attaching a central significance to an independent judiciary system,'' he said. The prime minister admitted that despite the earlier statements and promises to build a fully independent judiciary, no government of Armenia has managed, ever since independence, to live up to the society's expectations. ''I do not want to speak about the past; I want to speak about today - and the future - to guarantee the sole fact that a real independent judiciary is an absolute priority for the established political authorities in Armenia. The issue has been on our agenda since our first day [in power]. So I want to give my guarantees that the Government of the Republic of Armenia has abandoned the alleged practice of imposing decisions upon, or intervening in, the activities of the judiciary authorities through the executive,'' he added. Pashinyan also stressed the importance of eradicating corruption in the sector. ''I am hopeful we are clearly recording the fact that no corrupt official in Armenia can sleep peacefully at night regardless of whether or not that person is a judge or a minister. He or she has to know about [the inevitability of] being brought to justice sooner or later. We have a historic chance to have a really independent judiciary in Armenia. And virtually, we are not facing obstacles today for any kind of polticical victory, so I am hopeful that the chance will be really used,'' he said.